A cordless power drill is an electric drill, which utilizes rechargeable batteries for all drilling jobs. 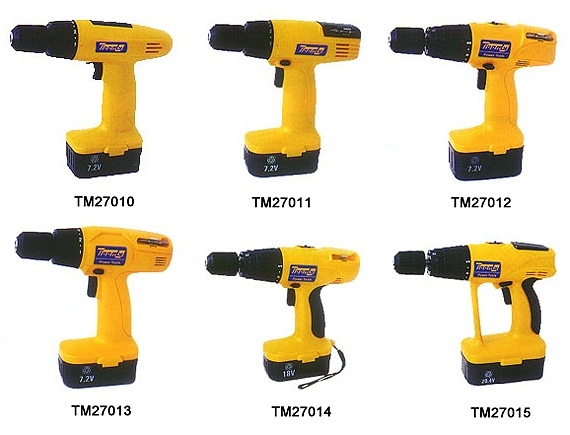 These drills have similar features of AC mains-power drills. They are available in the hammer drill pattern and most of them have a clutch. There are also right angle drills, which permit a worker to drive screws in a narrow space. The most popular types of batteries used in power drills are nickel-cadmium (Ni-cad) batteries and lithium-ion batteries, with each holding half the market share. While Ni-cad batteries have been in use for quite some time and are less expensive, they have more disadvantages compared to lithium-ion batteries. 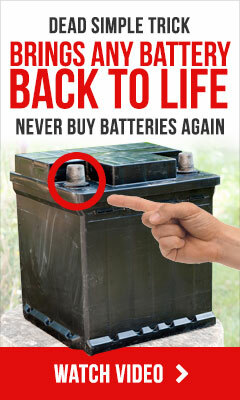 The disadvantages of Ni-cad batteries are limited life, self-discharging, and ecological problems on disposal. On the other hand, lithium-ion batteries are getting more popular these days in view of their short charging time, longer life and low weight. Lithium-ion batteries weigh just half that of nickel-cadmium batteries For example, if someone holds a 18volt lithium- ion battery powered cordless drill and a 18 volt Ni-cad battery powered cordless drill one in each hand, he will immediately observe a major difference in weight, with Li-ion battery powered cordless drill being much lighter. The power output remains constant until the battery gets drained out; it is this feature that nickel-cadmium batteries lack. For example, instead of charging a tool for 15 minutes of use, 15 minutes of charge can run the tool for an hour. This makes the tool more adaptable. Lithium-ion batteries also retain a charge for considerably longer time than the nickel-cadmium batteries, the charge lasting as much as one year. When comparing two cordless power drills, one should compare drills with similar power. 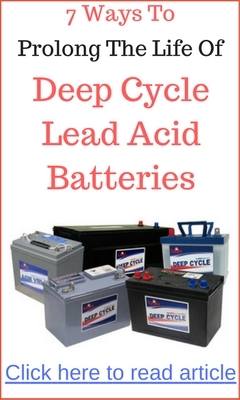 While a 12volt Ni-cad battery has the same power as a 12 volt Li-ion battery. 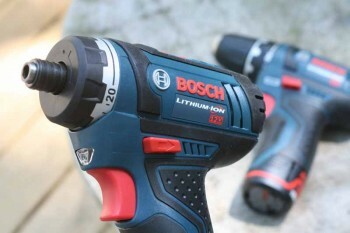 However, one cannot expect the same torque seen in an 18volt Ni-cad battery powered cordless drill as in a new 12 volt Li-ion cordless driver. Cordless power drills are known these days as “drill drivers” instead cordless drills. The clutch equipped in cordless drill driver regulates the amount of torque exerted. When the preset resistance has been attained, it separates the drill’s drive shaft producing a clicking sound. The correct setting of the clutch is important as it helps in driving the screw correctly into the layers without damaging them, besides not stripping the screws. While comparing different cordless power drills, it is also essential to verify the number of clutch settings each drill driver has. When comparing different cordless power drills or drill drivers, one will observe that most of them have key-less chucks. They are firmly tightened manually so that no chuck is loose. Key-less chucks are normally 3/8 inch or ½ inch. There are also small cordless drills having key-less chucks that take only quick connect bits. The most essential aspect one should consider when buying a cordless power drill is how one feels holding the power drill driver in the hand. Is it very heavy to hold? Is it too heavy to work overhead? Whether can one hold it straight without tipping up or down? In other words, the type of battery used in a cordless power drill determines its quality, versatility and durability.